For over 20 years, CMS has focused on engaging students and building strong foundations during the most formative years of their lives. We provide quality Montessori education at every stage of a child's development. Our renowned Toddler & Casa programs nurture and encourage the inquisitive minds of children to build foundational skills needed for future success. As children move through our Casa Program, emphasis gradually shifts from basic motor skills and language to development of concentration, co-ordination, independence and a sense of order. This allows the child to consolidate their writing, reading and math skills. Our Elementary program offers an enriched curriculum that promotes analytical and collaborative thinking, while nurturing individual strengths. We exceed the Ministry of Education curriculum by introducing hands-on material, facilitating deep understanding of concepts before they are committed to memory. Physical education, French, music, art, computers and a variety of extracurricular activities enrich the learning experience for CMS students. At CMS, young minds are inspired to be creative, innovative and inquisitive. We cultivate bright, young leaders and strong communicators ready for the 21st century. Since it was founded in 1995, CMS has grown to include five locations in the GTA. The program is founded on the core ideals that Maria Montessori promoted in her work, those of respect, community, purposeful engagement, and self-directed learning. That said, Montessori didn't create her program as a museum piece, but rather as a starting point, and that's a spirit that CMS upholds as well. Dr. Montessori, as has been said, "adjusted and adapted her educational system to better serve children's needs, and well-functioning Montessori classrooms typically share many features reflecting those adjustments." One of which was, of course, a willingness to adjust and adapt. As such, the CMS program includes, as at the Maplehurst location, a computer lab, a library, and a music room. In all, the focus is very clearly on the child, and supporting child development, which is just as it should be. Gallery showcasing school life and general photos of Central Montessori Schools - York Mills. Promotional video for Central Montessori Schools - York Mills. What School says: Our schools’ aim is to prepare children to reach their full potential and to play a responsible role in protecting the global environment and fostering peace and harmony with natural processes and community interests. CMS endeavors to provide quality education in a safe, diverse, nurturing and creative environment that helps the development of the whole child. Our mission ensures that the child is academically motivated, artistically creative, physically active and emotionally supported. What School says: We follow a Montessori Educational Philosophy based on the belief that a child learns best within a social environment that supports and nurtures each individual's unique developmental pattern. We follow the child's natural curiosity and desire to learn and provide an environment, materials and experiences to help each child reach their full potential. Children are free to challenge themselves at their own pace allowing them to build confidence and independence. What School says: We empower our students to become well rounded individuals who have the skills and confidence to excel in all areas life. We strive to provide a nurturing environment where children are intellectually motivated, artistically creative and academically challenged. We value confidence and leadership skills and endeavour to develop these skills from a young age by allowing students to collaborate and communicate their ideas as valuable members of their classroom community . Maria Montessori developed a unique method of education to inspire a child's love for life-long learning. CMS provides a stable and nurturing environment to the support the child through this journey in education. Our program engages the child and ensures they have a strong educational foundation. 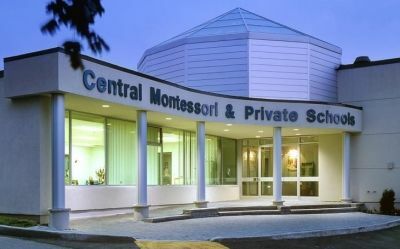 Interested in Central Montessori Schools - York Mills?